Claim: 'Arctic amplification' has actually reduced the risk of cold extremes in the Northern Hemisphere | Watts Up With That? Climate change is unlikely to lead to more days of extreme cold, similar to those that gripped the USA in a deep freeze last winter, new research has shown. However, new research by University of Exeter expert Dr James Screen has shown that Arctic amplification has actually reduced the risk of cold extremes across large swathes of the Northern Hemisphere. The idea that there was a link between Arctic amplification and extreme weather conditions became prevalent during the severe winter weather that plagued large areas of the United States in January 2014, leading to major transport disruption, power cuts and crop damage. In his study, Dr Screen examined detailed climate records to show that autumn and winter temperature variability has significantly decreased over the mid-to-high latitude Northern Hemisphere in recent decades. Using the latest mathematical climate modelling, Dr Screen has also been able to show that these changes will continue in to the future, with projected future decreases in temperature variability in all seasons, except summer. ‘Arctic amplification decreases temperature variance in northern mid-to-high-latitudes’, by James Screen, is published in Nature Climate Change online, on Sunday, June 15. This research was financially supported by the UK Natural Environment Research Council. June 16, 2014 in Arctic, Cold wave, extreme weather, Weather. 1990 called, they want their meme back. Nonsense, it depends on how the arctic warms. If it is uniformly warmer, in time and space, then yes. But if it is warmer because of repeatedly suffering warm spells, with big masses of warmer air comming from the South from time to time, then hell no, because this mass of warmer air comes to replace the cold air that was there in the beginning, and this cold air, guess where it is going, yes, to the South, causing cold spells wherever it goes. Warmer arctic without increased mising with air from lower lattitudes = lower lattitudes suffer less cold spells. But warmer arctic due to increased mixing with air from lower lattitudes = lower lattitudes suffer more cold spells. So both things are possible with a warmer arctic, it depends on the cause of its temperature increase. No. Villages everywhere want their arguing children back. When my three kids used to get into these “did not-did too” fights in the car I used to whack them with a fly swatter. Arm was too short to reach back there without it. But surely, according to “Warmists”, AGW is the font of all extreme weather?! I wonder if Carhartt® will take back my new winter coat? It appears that the science is unsettling. Didn’t these guys ever hear of an “air conditioner”? heat is radiated into the dark and cold air produced! don’t let it move. It will radiate for a while and then just “sit there”. Of course, it violates the eco-religious dogma to even think such things! so everyone, use less, share, and decrease the surplus populaton! what mar-roons with their gull-i-bull brainwashed followers! misguided and have no idea of what they are doing ! Do they know how foolish they look ? Hey! they have to protect that fat Government pay check ! Isn’t air from a dark place the sun don’t shine also called a – fart? According to daily HADCET 2010 had the 6th highest number of days below 0C and the 2nd highest below -5C. The coming decade will be enough to knock this guy and his loony theory onto its arse. With a resounding thump. “Nonsense, it depends on how the arctic warms. If it is uniformly warmer, in time and space, then yes. But if it is warmer because of repeatedly suffering warm spells, with big masses of warmer air comming from the South from time to time, then hell no, because this mass of warmer air comes to replace the cold air that was there in the beginning, and this cold air, guess where it is going, yes, to the South, causing cold spells wherever it goes. Nothing has been shown. Something has been postulated. The background behind the hypothesis may or may not have merit, but it is a hypothesis none the less. The hypothesis can be used to make predictions. Let us see if the predictions are close to the reality. “Has been shown” is too much like “settled science” in my opinion. I have no opinion on this particular matter, but I am getting sick of hypotheses being anything more than hypotheses in the press and blogosphere. Poor Dr. Screen. His new paper says the exact opposite of what the US 2014 NCA just said, about which Obama said the science was settled. 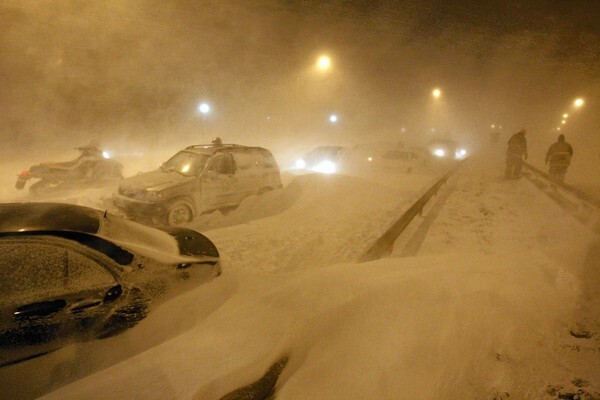 Even had a picture of Chicago’ 2011 blizzard to prove winters are getting harsher because of climate change, not milder. How unsettling to settled science. Yet the IPCC et al told us the opposite. Winter northern hemisphere snow extent has been Winter snow extent trending up since 1967. Using the latest mathematical climate modelling,…. This ASSumes we continue to warm. Unfortunately using a short period of time proves nothing except in a short warming period things get nicer. I agree with you entirely. They told us to expect milder NH winters. Ooops, then they said we should expect colder winters due to CAGW. Oooops, now they tell us to expect less extreme winters. Next they will tell us to expect more extreme winters due to CAGW. This is not a science, it is garbage. Helped along by the useful idiots. There is now strong evidence to suggest that the unusually cold winters of the last two years in the UK are the result of heating elsewhere. With the help of the severe weather analyst John Mason and the Climate Science Rapid Response Team, I’ve been through as much of the scientific literature as I can lay hands on (see my website for the references). Here’s what seems to be happening…….. The open sea, being darker, absorbed more heat from the sun in the warmer, light months. As it remained clear for longer than usual it also bled more heat into the Arctic atmosphere. This caused higher air pressures, reducing the gradient between the Iceland low and the Azores high……. I can already hear the howls of execration: now you’re claiming that this cooling is the result of warming! Well, yes, it could be. A global warming trend doesn’t mean that every region becomes warmer every month……. These buffoons will still be claiming the climate is warming when the next tranche of glaciers roll over their labs. So where does Dr. Screen make the case that this reduced risk of cold extremes will be catastrophic for the planet? If he doesn’t find a way to make that connection, his research will be dismissed and ridiculed. He will also suffer an increased risk of extreme cold shoulders from colleagues and a reduced flow of grant money. But Mosher says the science is settled!!!!!! The truth is that it’s the East- North Easterley that brings the intense cold and always has going back to the LIA when Pepyes wrote about the perishing east wind. So where does Dr. Screen make the case that this reduced risk of cold extremes will be catastrophic for the planet? And how the hell does he measure day to day variability ? Any time I read an article, report or comment starting with “climate change may cause…” I think shouldn’t they first demonstrate that the climate is, in fact, changing? After 17+ years of no warming it sounds a lot like whatever happens after “may cause” isn’t really a threat. “The models don’t have the skill we thought they had. That’s the problem,” admits Peter Jan van Leeuwen, director of the National Centre of Earth Observation at the University of Reading. He also says the temperature record is pristine…..
“new research by University of Exeter expert Dr James Screen has shown that Arctic amplification has actually reduced the risk of cold extremes across large swathes of the Northern Hemisphere”. So Dr Screen is wrong, then. I got the brown Artic no hood. Warm as toast. Knitted cuffs are the best. Was there anything to back claims and what is causing it. Between James Screen and Jennifer Francis, we see the absolute zero of competence in meteorology leading to climatological nonsense. Not ready to write on this. I do find it a funny and serious rebuttal to and refutation of Dr. Holdren and Mr. Obama. A key question: What do the Observations show in regard to land-surface temperature changes and variations (non-stationarity) and the change(s) of the number of days land-surface temperature is above 0C for a period of 12 years (at 4 different equator crossing times) and counting on the Arctic ? [MODIS (PFM and FM1) on Terra and Aqua, respectively] ! I find it a bit disingenuous when posters laugh at climate models when they are used by the alarmist ( and I agree with that ) but will willingly to use them when it serves a purpose, such as to refute Obama. Lets not have our cake and eat it too. I believe that I have just experienced the opposite of what this paper claims. The jet stream moved overhead of the area of where I live around a week ago. This brought in a welcome change of cooler days and nights. During this time the temps dropped close to 50 F during the evenings. My air conditioner does not work so this is important to me. In fact this morning, I was surprised to feel just how cold it was when I stepped outside barefoot. I went back for the thermometer and took a ground reading of 40 F at 6:30 am. So when the jet moves south from the Arctic, it still has the age old cooling capacity that it has been known for. I think a large portion of that warming can be attributed to 30-yr AMO warm cycle, which started around 1994. The AMO is starting to wind down and the PDO already entered its 30-yr cool cycle in 2005. When the AMO enters it’s 30-yr cool cycle in 2020, I think we’ll see Arctic temps start to fall again, especially since the PDO is already in its 30-yr cool cycle, we’re now in the weakest solar cycle in 100 years and the next solar cycle could be the weakest since the Maunder Minimum (1645~1715). Secondly, what’s so bad about slightly warmer temperatures in northern latitudes? Warmer temperatures lead to longer growing seasons, increases arable land area, crop yields and forest growth are increased from increased CO2 levels, plants require LESS water due to higher CO2 levels, the tree-line expands in northern latitudes, heating energy requirements are reduced, animal populations are increased (including Polar Bears!! ), and generally life in northern latitudes becomes less severe and more enjoyable. Where is the economic damage???? All I see are benefits. Ah geeze, more non Meteorologist publishing papers. What we’re seeing with climate science is exactly what we see with evolutionary science. There is no doubt about CO2 being a greenhouse gas. There is no doubt that humans add CO2 into the atmosphere. But the problem is that it is too complex to be predictive. Like natural selection is used to explain extinction and survival, it’s a lousy model for prediction. It’s a truism to say that natural selection and evolution is explains the fauna and flora on the planet. Homo sapiens were selected over Neanderthal and Cro-Magnon because of evolution and natural selection. But that’s all hindcasting from the present. What will future species look like? Which species will not adapt and become extinct? The truth is that any future can be attributed and forecast. The lucky ones that were correct are used to validate the process yet just as many got it wrong. This is akin to finding lottery winners and attributing their methods as a science to win the lottery. In this small case, we will have scientists that say “colder” because of AGW, some that say “warmer” because of AGW and some that say “no measurable impact” because of “AGW”. All will be peer reviewed and scientific and when we actually get to the point where we can find the ascertain the correct version, it will be used to validate AGW. There is a lot of effort used to analyze the “skill” of short term predictors such as hurricane formation but very little effort in analyzing the overall skill of long term climate prediction. Since every scenario is predicted, we just need to forget the wrongly predicted ones and we see how correct it is. I noticed that. 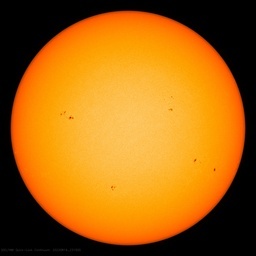 This means that my wild and crazy conjecture on solar into the ocean and back out after a delay still has legs. I had forecast for the + ENSO to peak at the end of May or in June. Then ENSO should turn neutral to slightly negative by the end of July or in August to continue the scenario. Temps this morning in No California, about 70 miles inland from the Pacific, were reading 30 F at 5:00am, and 35 F at 6:30am. This is very different from the warmth of the preceding several years. Gee. With morons like Dr. Screen running around making these kinds of pronouncements, we no longer have to worry about the value of earning a PhD. Instead, we can become unemployed night club comics. It’s cheaper. Well said in lay terms Tim. The only explanation I can think of for this new twist is that the paper was accepted for publication prior to last winter. Too bad for them that it comes out looking like another DOA. @ Tim B, The simplified version is that the heat from water vapor gets retained rather than released. If that were true, there would be no pause, nor would there be any disagreement over whether we are warming or not given the tremendous amount of co2 that has been injected into the atmosphere. co2 as a thermostat controller, no. In a nonlinear, open system, co2 is simply overstated as to regulating temperature. The year 1998, which is claimed as the warmest on record, occurred a long time ago now, we should have seen some years since that were warmer. I have stated often, my concern isn’t warmer, it’s colder climate that we should fear. The most I can calculate is that co2 might be responsible for 3% of the observed increase in temperature, which is so small that it is or might as well be background noise.